Wanting to add something different for lighting your home? Boho style is popular and allows you to consider so many option for DIY lighting. Bohemian chic is a trendy style that is also very versatile. Some call it eclectic while others call it boho, but whatever it is it's a fun way to use DIY to decorate a home. In this feature we look at how you can use boho style to incorporate lamps and lighting to your home that are easy to make or easy to replicate. 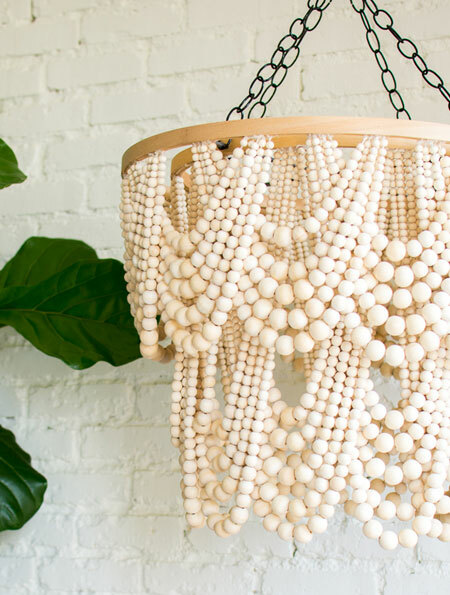 As the DIY movement continues to grow we're always on the lookout for new ideas, and boho chic is one style that lets you decorate with a bit of personal flair. 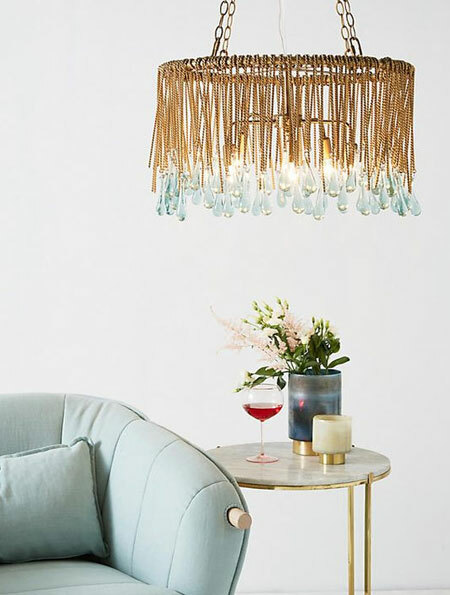 Be daring, be unusual, be unexpected and add some one-of-a-kind lighting to your home with one of these boho inspirations. 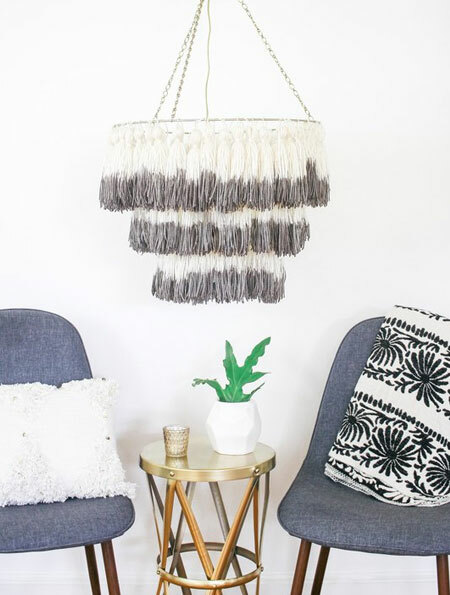 We know that fringes and tassels are usually limited to cowboy gear, but it's also an easy way to make your own unique lighting. 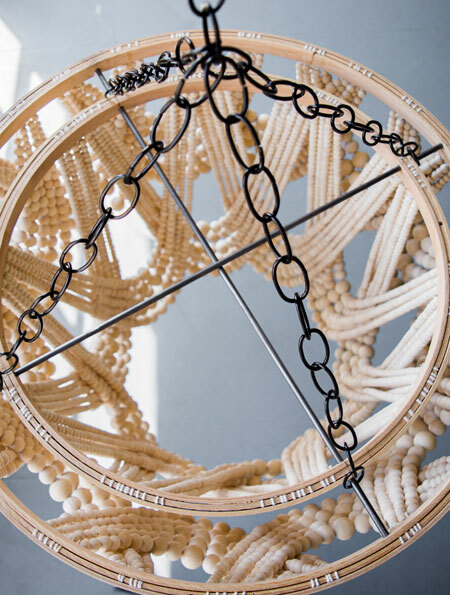 Use wool, yarn, hemp or rope to add some down-to-earth glamour to your home with just a bit of country chic. 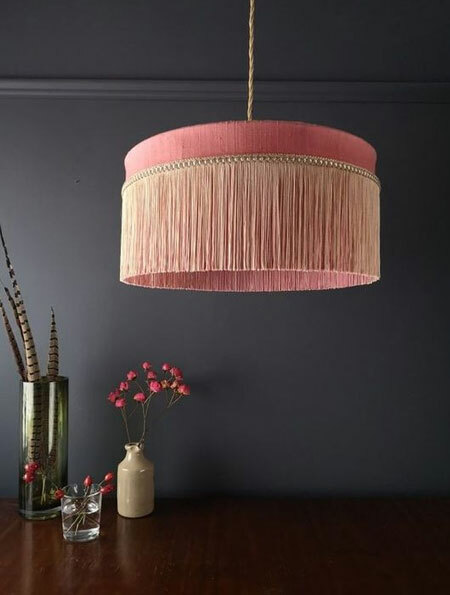 All you really need to make your own stylish boho light shade is some wood or steel rings - or revamp an old shade - and your choice of material to craft a tassel or fringe lamp shade. Choose colour for your chandelier that complement other design elements in your home. 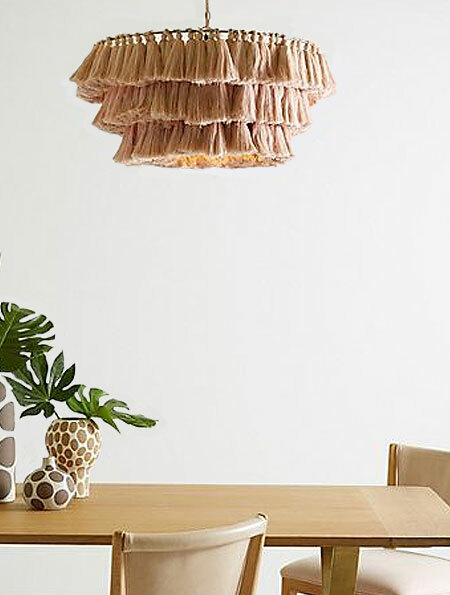 Dress up an old light fitting with simple wool trim arranged to form a fringe around the inside of the fitting. Choose a colour that complements you existing decor and add as many layers as you wish. 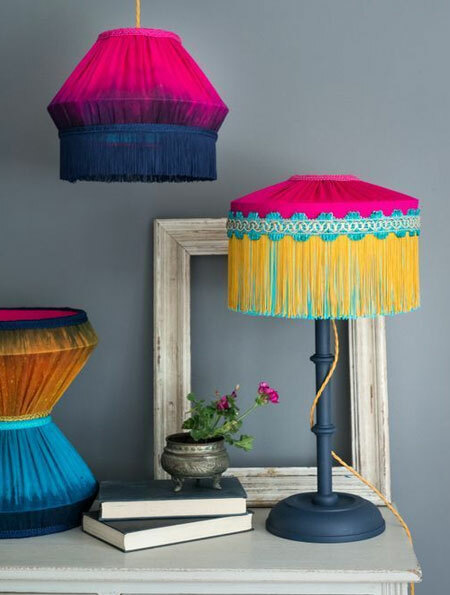 Tie your tassel or fringe chandelier into the spirit of boho style by using brilliant coloured fabrics and accessories. That's one element of boho that I truly love... the bold jewel colours that are a part of this design trend. Buy some colourful fabric and decorative trim to cover up old lampshades to add a splash of colour to your bedroom. 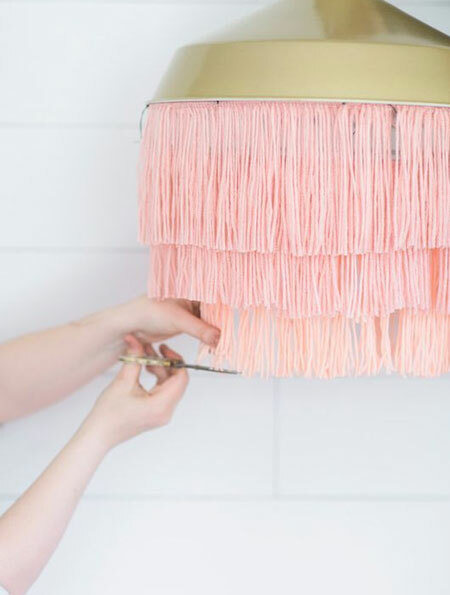 If you prefer your colour a little more muted, you can still dress up a plain lamp shade with a tassel trim that gives your lighting a brand new look. 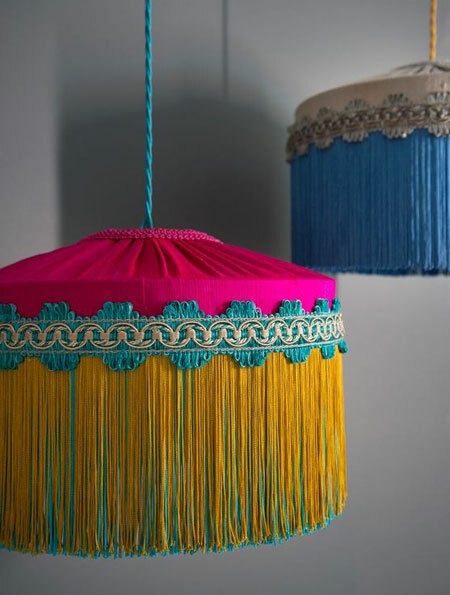 Visit your local fabric stores to view a selection of colourful tassel trim styles that you can attach to the existing shade with a hot glue gun or fabric glue. 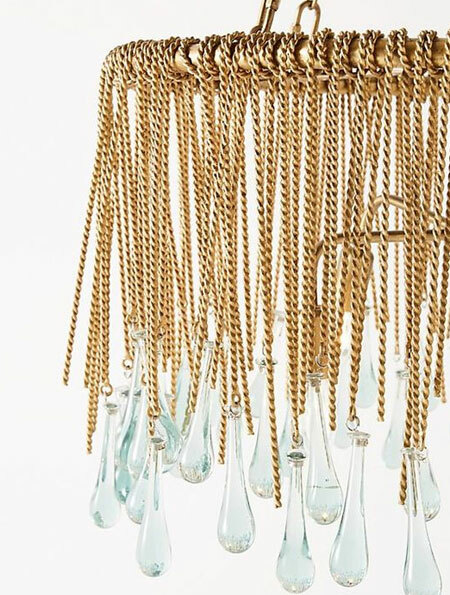 With the metallic trend still so popular, here's how you can use inexpensive chain that you can buy at any Builders store to craft your own metallic lamp shade. Spray with Rust-Oleum Universal metallic gold spray paint, add a few dangly crystals and you can make a unique light feature for any room. 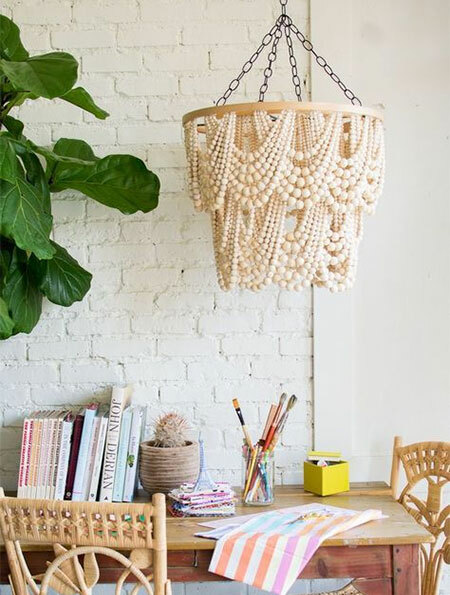 Beads are still a popular choice for making a DIY chandelier and you can choose to use beads of one colour, as shown in this project, or use a variety of colours for a boho chic lamp shade. This bead chandelier was made by the house that lars built and you will find instructions here to make your own bead chandelier. 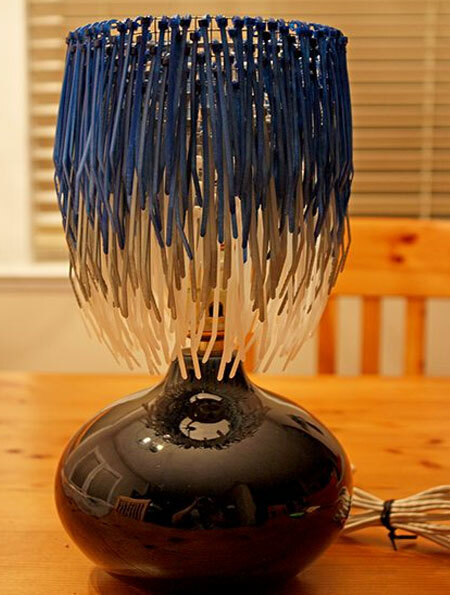 This zip tie lamp will make you think again for the number of uses for zip ties! The zip ties were sprayed using Rust-Oleum 2X Painters Touch spray paint and then added to a wire grid that forms the basis for the lamp shade. Having bought an inexpensive ceramic lamp base, Sheila wanted to make her own lamp shade and do something different. 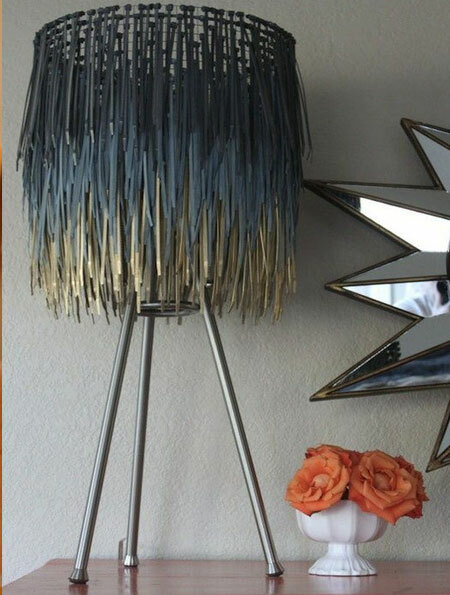 Well, a zip tie lamp shade is definitely not something you come across every day and it really does look great. 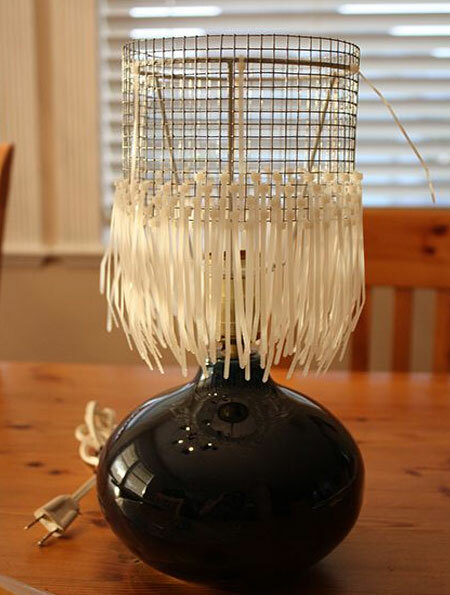 And below is another zip tie lampshade that I stumbled across while searching.